In the not-so-distant future, whole genome sequencing — determining your entire unique DNA makeup in the laboratory — will be as routine as X-rays and cholesterol testing. Whole genome sequencing provides the most comprehensive collection available of an individual's genetic variation. Genomic information has been instrumental in identifying inherited disorders, characterizing the mutations that drive cancer progression, and tracking disease outbreaks. Rapidly dropping sequencing costs and the ability to produce large volumes of data with today’s sequencers make whole genome sequencing a powerful tool for genomics research. What once took 15 years and $3 billion to accomplish can now be done in a few days for a few thousand dollars. And with supercomputers able to quickly crunch the billions of pieces of data, the time and costs continue to drop. As a results, whole genome sequencing is moving into the practice, from bench to bedside, as we like to say. We envision whole genome sequencing (WGS) becoming a routine part of an individual’s medical exam in the future. When, you might ask, will this occur? 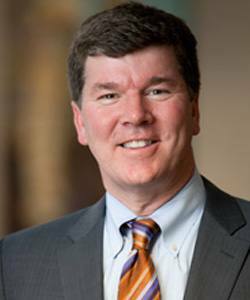 Keith Stewart, M.B., Ch.B, the Carlson and Nelson Endowed Director of the Center for Individualized Medicine, or CIM as we commonly refer to it, has frequently said in 20 years he believes WGS will be standard practice in health care. Others believe Dr. Stewart is being too conservative with his projections, that 10 years is a more realistic projection. Whether it becomes standard practice in 10 or 20 years, or even sooner, WGS is available now and the costs have fallen to the point where it is being utilized more frequently in the practice. For many who follow the CIM blog, whole genome sequencing is a known commodity — what it means, what it offers, what it can and cannot tell us. For others, however, especially those new to genomics or new to the Mayo Clinic Center for Individualized Medicine, whole genome sequencing is still more science fiction that science. We wanted to take a step back for those who may be new readers here and offer a primer on whole genome sequencing. Also, included below is a short video that you may also find useful. Our bodies are made of trillions of cells. In every cell of our body (eye cell, skin cell, heart cell, brain cell, etc.) are packages of genetic information. The packages of genetic information are known as chromosomes. We get our chromosomes in pairs. One of each chromosome pair comes from our mother and one comes from our father. Our chromosomes are made up of deoxyribonucleic acid, or DNA. Our DNA is made up of 4 bases (A for Adenine, G for Guanine, C for Cytosine, and T for Thymine) that exist in pairs and are repeated about 6 billion times to make up the DNA strands. Within the long strands of DNA in our chromosomes are smaller structures known as genes. We currently believe there are approximately 20,000 genes in each cell of our body. Our genes are the instructions that tell our bodies how to grow and develop properly. Each gene contains a specific sequence of these four chemical bases (“letters”) A, T, C, and G.
If there is a change of even a single base (“letter”) in a gene, it is called a genetic variation (think “misspelling”). We all have variations in our genes. Most of these variations appear to do nothing. Some of the variations makes us appear unique. Other variations affect how a gene works and can increase risk for disease. 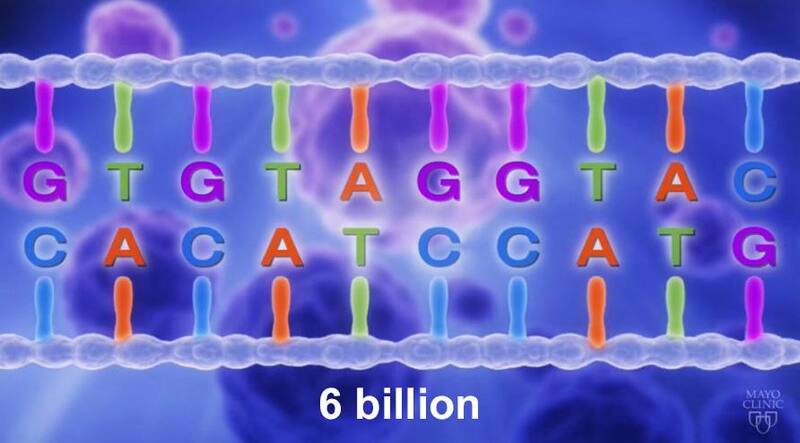 We can find gene variations through a test called DNA sequencing, which allows us to read through all the 6 billion letters to see how each gene is spelled. For years scientists and doctors have been able to figure out the DNA sequence (sequencing) of some genes. However, only with the completion of the Human Genome Project, often called one of the great feats of exploration in human history, have scientists been able to develop the tools to sequence most of the human genes (genome) at one time. One of these tests is whole genome sequencing. This test generates data for the entire DNA sequence in an individual! It is important to know that whole genome sequencing will uncover thousands of variations in an individual’s DNA sequence and that most of these variations are unlikely to be associated with risk for disease. Moreover, there is still a lot that scientists do not understand about all of the human genes, including how the environment interacts with genes to impact disease risk. It is through research projects, like those using the Mayo Clinic Biobank, that scientists will learn more about what genetic information means for patients’ health and risk for disease and how to use that information to implement individualized medicine. The challenge now is in the accurate interpretation of the vast amount of data generated by genomic sequencing and effectively using it to guide decisions about a person’s health care. New discoveries are being made all the time that further our understanding of the genome. Some of these you can read about here on the CIM blog, as we highlight the genomic research of clinicians and scientists at Mayo Clinic. Other discoveries are being made at many of the finest medical and research institutions around the world. Improving patient care by turning genomic research into real-world personalized medicine applications, particularly new and better genomics-based diagnostic tests, is the goal of the Clinomics Program at the Center for Individualized Medicine. The program builds on Mayo Clinic's culture of collaboration and research to create and refine such tests and bring them to patients as quickly as possible. With these new tests in hand, doctors will be able to quickly and effectively search a person’s genetic code for clues that help him or her diagnose and optimally treat a number of conditions — or keep the person healthy by preventing future disease. 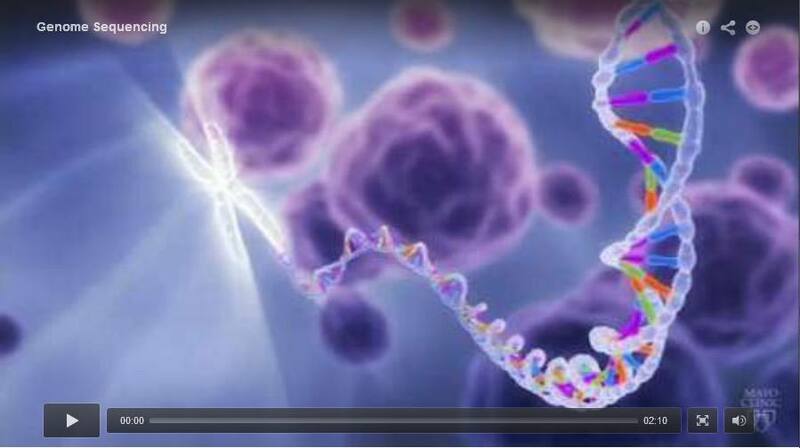 This short animation will help you understand whole genome sequencing. The news said that the whole genome sequencing is very wonderful. 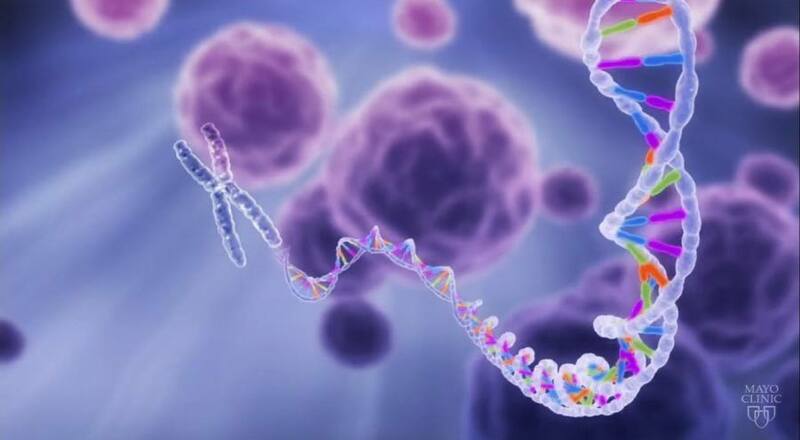 Testing companies said that their technology is very advanced, for example:http://www.cd-genomics.com/Human-Whole-Genome-Sequencing.html.